Automatic Studio helps organisations design compelling digital products and services. Congratulations to Readify on winning the 2015 Queensland iAward in the Industrial & Resources category recently for their work on Laing O’Rourke’s “Our People” application. We’re proud to have been responsible for user experience design for Our People, which is a cross-platform internal productivity app running on iPhone, Android and Windows Phone. Working with Readify and Laing O’Rourke’s internal team, we were responsible for conceptual design, interaction and visual design as well as design production across the three platforms. Our People is one of a number of initiatives we’ve worked on with Readify and Laing O’Rouke over the last few years, including designs for mobile and web applications, development of application style guides, discovery workshops and UX design process facilitation. Laing O’Rourke’s has embraced the idea of “employee experience” and has embarked on a fast-paced program to provide “consumer quality” productivity tools to its staff around the world. Congratulations Readify and Laing O’Rourke. You can read more on the Microsoft Customer Stories site. We worked on the conceptual design, navigation and interaction model for the Carsales app with the Carsales team. Final design and implementation was carried out by Carsales’ internal team. 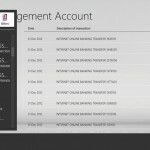 We also collaborated with Xamling on the initial navigation and information architecture work for SBS On Demand. Alex from Xamling completed the interaction and visual design. 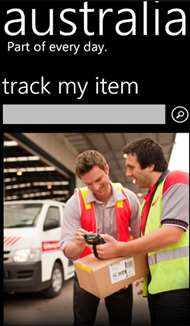 Our Windows Phone application for Australia post has been named in The Age’s “25 best Windows Phone apps”. Working with Readify and the team at Australia Post, we were able to quickly generate a striking user interface that I think provided a nice balance between Metro styling and Australia Post Branding. Congratulations to all involved. Australia Post, especially Adam Crapp – for visual design. Automatic Studio worked with Cochlear Ltd in Sydney to assist with the user interface design for new-generation desktop tools to assist audiologists in the process of tuning bionic hearing implants. 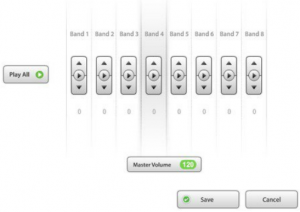 The challenge was to design a navigation paradigm that streamlined the tuning process while still allowing audiologists the freedom to choose the most appropriate approach for any situation. Shane was responsible for providing user experience guidance for Australia’s first deployed Microsoft Surface application. ANZ’s showcase for the Australian Open Tennis was designed to engage spectators in a new way and introduce them to ANZ’s new branding and it’s involvement with the tennis tournament.